Year 2 have been learning to write instructions. As part of this topic, we held a ‘Year 2 Bake Off’. The children made cakes at home and wrote the recipes for them. 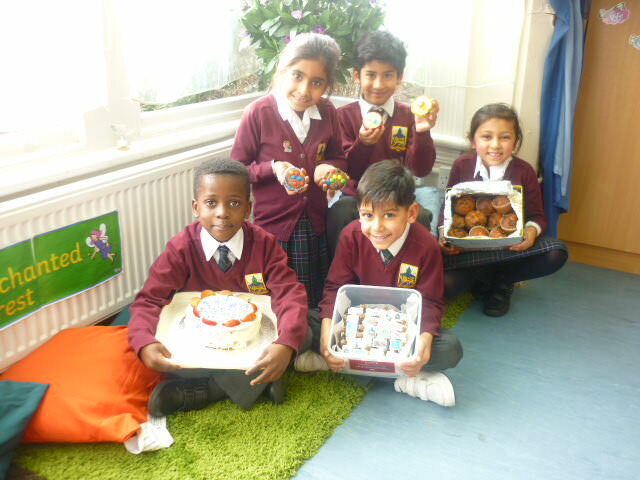 They brought in the cakes to be judged and all the children have tried a variety of cakes throughout the week. Well done to the following children who won awards for their baking skills!